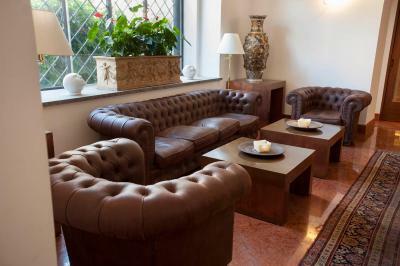 Lock in a great price for Hotel Palazzo Brunaccini – rated 8.5 by recent guests! The best was the staff soooo friendly, then, location it was a very pleasant stay. Will definitely recommended this hotel. 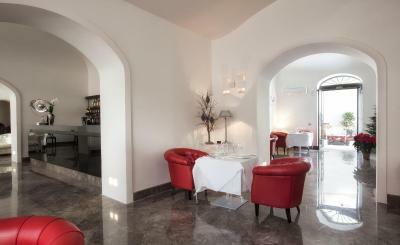 The chef Carlo is amazing and also Francesco at the front desk. the room was excellent and spacious. The hotel was like a city palace. Staff was extremely unfriendly. No one even offered to help us with our luggage up a full flight of stairs. Breakfast was very mediocre for such a beautiful, slightly pretentious Palace. I had to ask for them to fill the empty fruit trays. There was a sign that said they would charge me a euro for a second coffee. And when we left the desk never said "thank you", can we help you get out of town, or "we hope you enjoyed your stay." The rooms were huge and lush! Clean and absolutely lovely! 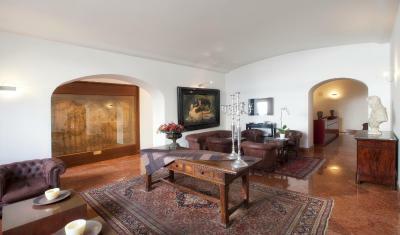 The property is beautiful, it was an easy walk to all of the old town attractions. 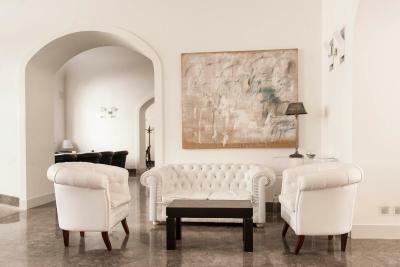 Hotel Palazzo Brunaccini This rating is a reflection of how the property compares to the industry standard when it comes to price, facilities and services available. It's based on a self-evaluation by the property. Use this rating to help choose your stay! 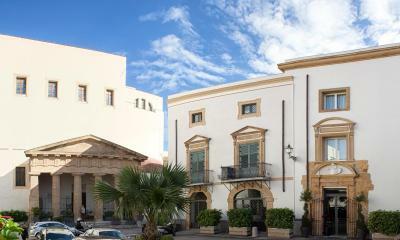 One of our top picks in Palermo.Palazzo Brunaccini is an elegant building in Palermo’s historic center, 2,300 feet from the city’s cathedral and the train station and a short walk from Ballarò local market. 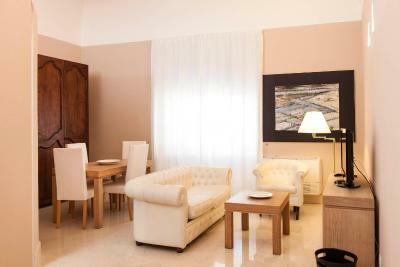 It offers modern suites and free WiFi throughout. 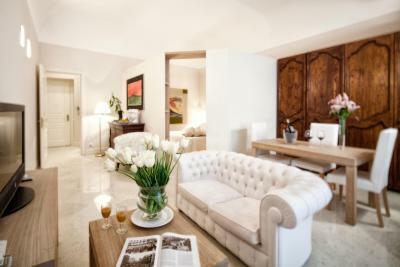 Decorated with refined light-wood furniture, each suite has traditional wood-beamed ceilings and wood floors. They have works of art hanging on the walls, and some come with a furnished balcony or terrace. 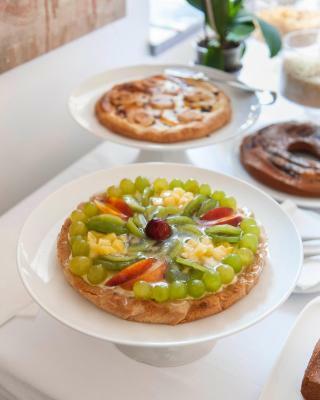 At Brunaccini an extensive buffet-style breakfast is served daily. 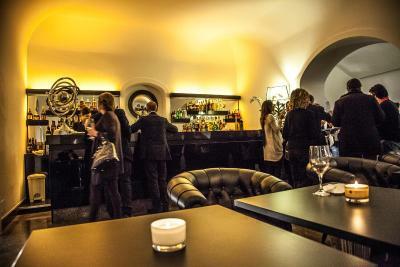 The Ristorante Da Carlo a Palazzo Brunaccini restaurant offers local and street food dishes. 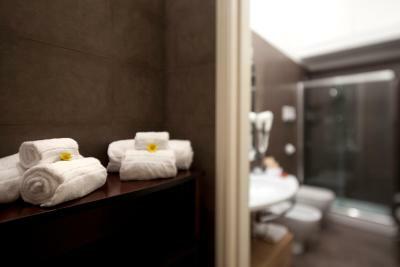 In-room facilities also include air conditioning, a private bathroom with shower, and satellite TV. Some suites offer a romantic atmosphere thanks to a four-poster bed. Linen change and cleaning take place daily. 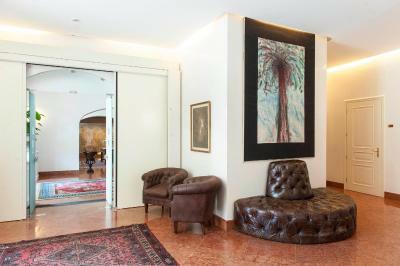 The property is 350 feet from a bus station linking with other areas in Palermo. 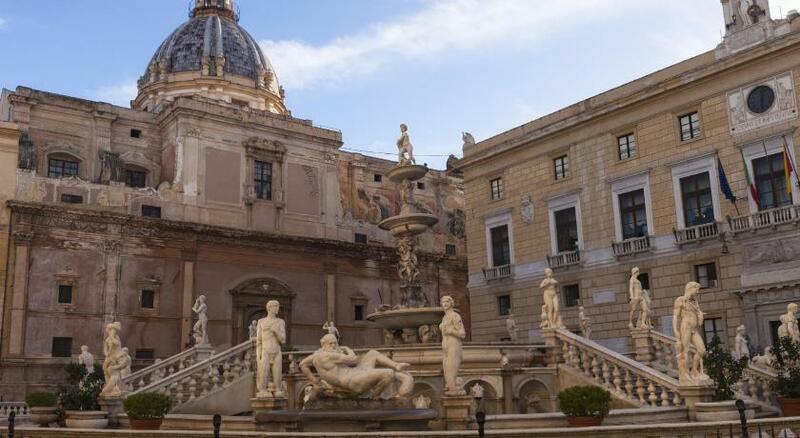 The famous Teatro Massimo can be reached on foot in around 15 minutes. 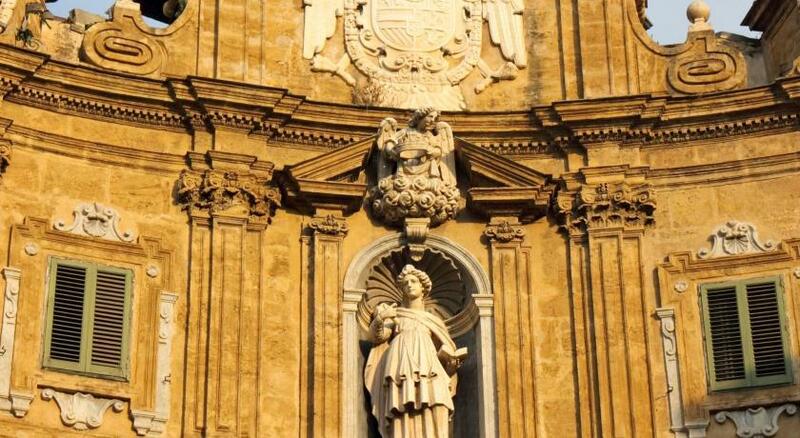 Albergaria is a great choice for travelers interested in markets, churches and history. 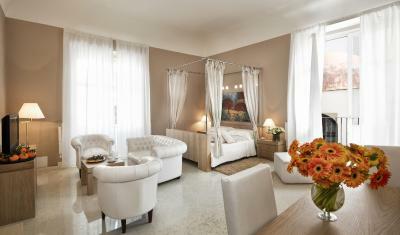 When would you like to stay at Hotel Palazzo Brunaccini? 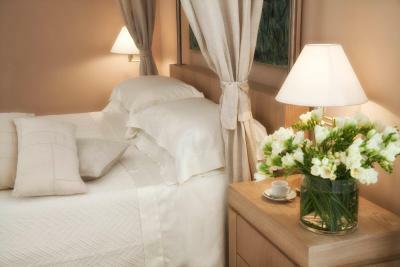 With free Wi-Fi and air conditioning, this elegant junior suite features a safe, fridge, and a flat-screen satellite TV. Some have a balcony or four-poster bed, and others are on 2 levels and have a terrace. 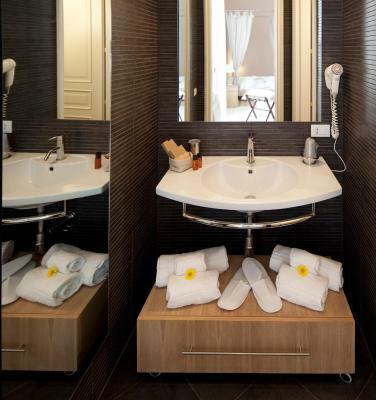 With free Wi-Fi and air conditioning, this elegant room features a 2-person hot tub, safe, fridge, and a flat-screen satellite TV. 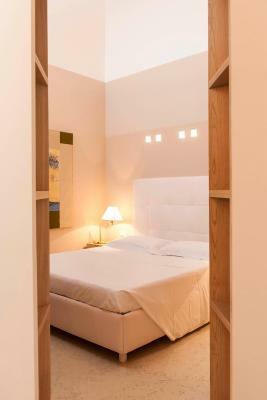 With free Wi-Fi and air conditioning, this elegant room features a safe, fridge, and a flat-screen satellite TV. With a double bed and a sofa bed. 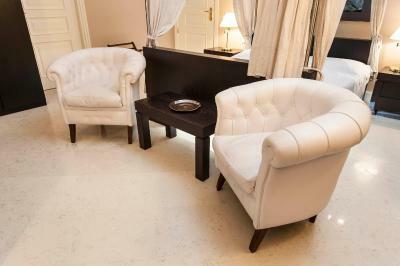 This elegant air-conditioned suite features 2 separate areas. It comes with free Wi-Fi, a safe, fridge and flat-screen satellite TV. Some suites have a raised sleeping area, some have a terrace. 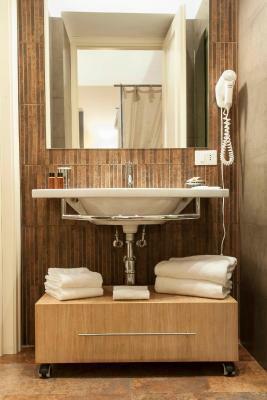 This elegant air-conditioned room comes with free Wi-Fi, a safe, fridge and flat-screen satellite TV. Some have 2 bathrooms, and some have a balcony. Larger room with free Wi-Fi and air conditioning, this elegant room features a safe, fridge, and a flat-screen satellite TV. Some have a balcony and four-poster bed. 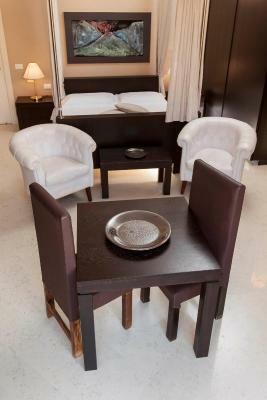 This double room features a private entrance, view and satellite TV. 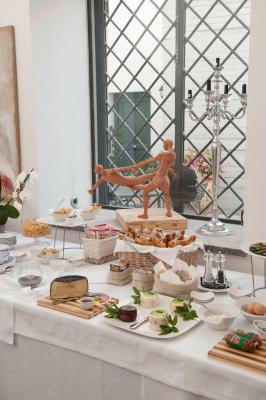 House Rules Hotel Palazzo Brunaccini takes special requests – add in the next step! ATM card Hotel Palazzo Brunaccini accepts these cards and reserves the right to temporarily hold an amount prior to arrival. Hotel Palazzo Brunaccini accepts these cards and reserves the right to temporarily hold an amount prior to arrival. 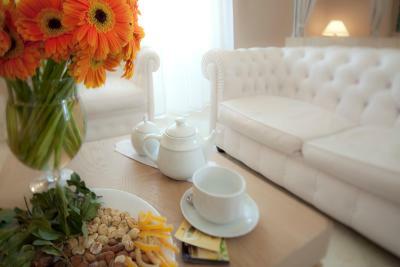 Guests are kindly asked to inform the property in advance about their arrival time. Please note that the property is in a restricted-traffic area. 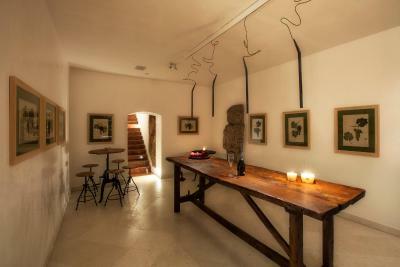 Guests are asked to contact the property for exact directions. 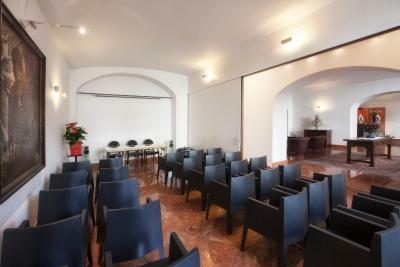 Guests using GPS navigation systems are advised to input the following address: Via Ponticello. Follow this road until you get to a one-way street and then turn left. Location of hotel was not comfortable. On arrival we were approached by a man who insisted on helping us park in the hotel piazza. He requested money which according to guide book said to give a euro or two if you don’t want your car damaged. Gave him two euros and he insisted on more. When I asked Hotel staff they said he did not work for them. Early departure breakfast was a bag to go. Sandwich was terrible, dry ham and cheese, toast with Nutella, apples and two bottles of water. Hard boiled eggs and pastry would have been appreciated. Hotel was clean. Breakfast good. 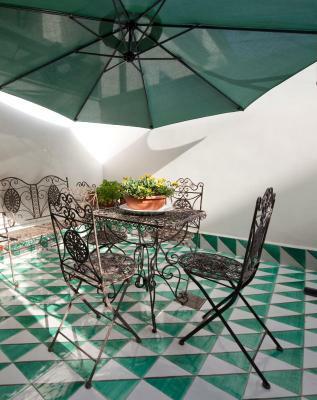 The hotel was situated on its own small square in a bustling part of old Palermo, next to the famous Balaro market. 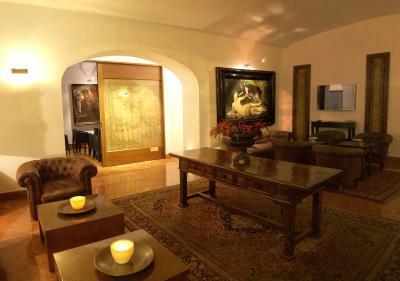 It was an oasis of calm, tastefully decorated with antique furniture and paintings. 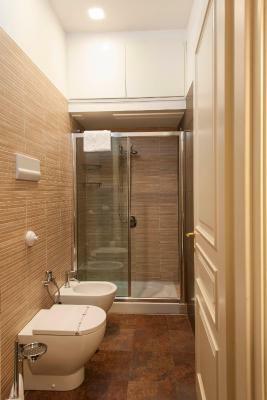 The room was spacious and had an excellent jacuzzi. 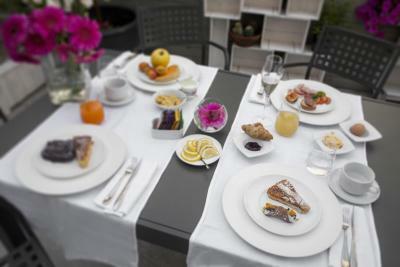 The breakfasts were excellent and the food in the restaurant was sublime. Tad bit more counter/ surface space in the bathroom. 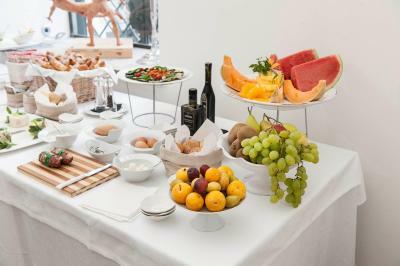 Breakfast was wonderful, the staff exceeded our exoectations, central location with easy parking and walking distance of great sights. Breakfast and coffee were poor for the standard of accommodation. The Wi-Fi was touch and go, and there were some scary dodgy characters hanging around outside in the square. The hotel is in a beautiful palace. Excellent staff, building and room. 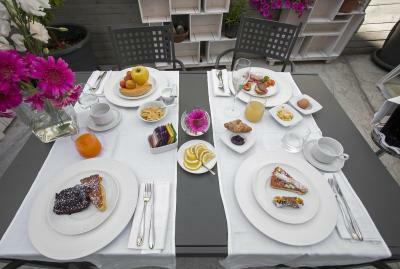 Good quality breakfast but with reduced variety: nice pastries. The neighbour, the location, being near the Mercato Ballaro (unexplicably a tourist site in the city) was shabby, dirty and quite unappealing. We never felt safe immediately outside the hotel, especially at night....; so the area was really quite decadent, and to be honest, quite scary. Would return to the hotel if it were located in another area. Fabulous location just minutes from the market. 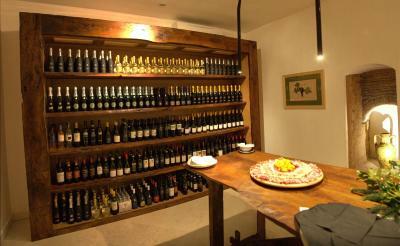 Superb onsite restaurant - the food is incredible. 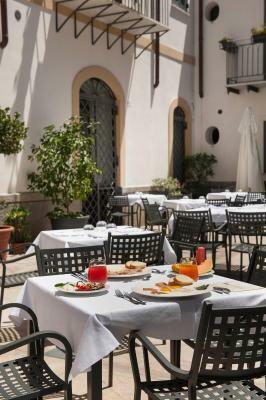 The chef is so passionate about Sicilian produce and flavours. 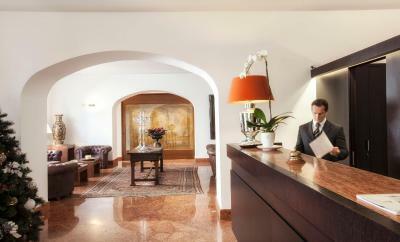 Staff are friendly and attentive... ideal place to stay for our few days exploring Palermo. The decor of our room was a bit bland. They should rethink the location of the minibar (on top of the desk?!). Beautiful armoire next to ikea style furniture. The breakfast was fantastic. Carlo, the Chef, is innovative. His selection of handmade cakes/omelettes was inspiring. 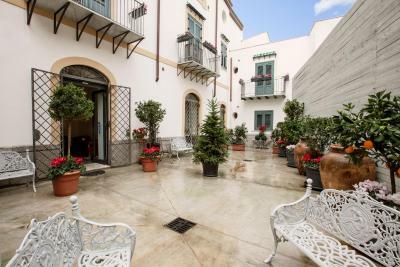 Beautiful Palazzo very centrally located in the old historic Palermo. Great staff. The locating area did not feel safe, our room in a converted out building was very small and basic. 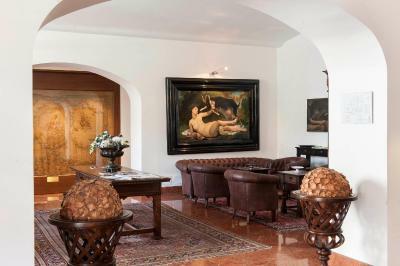 The hotel was a little oasis in the oldest part of Palermo. Very easy to walk to the areas of interest. Our room was very comfortable. The restaurant was excellent. The staff were all helpful and spoke good english. The free wifi was a little unreliable but that was more because of the old building and position of hotel - very built up surroundings.